5 Responses to "Cobalt Chevron"
This is such a great color. Cobalt looks great on all skin tones. It’s got to be a great feeling that your niece trusts you and can confide in you. Have a wonderful weekend! I am really loving cobalt right now too. You look great in this blazer and top. Very pretty. I really like your glasses too. 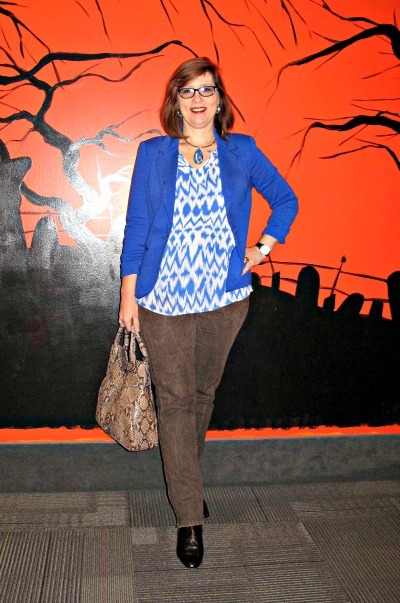 This is a great look for you; I’m loving the cobalt. Those jeans with the side detail are fab.